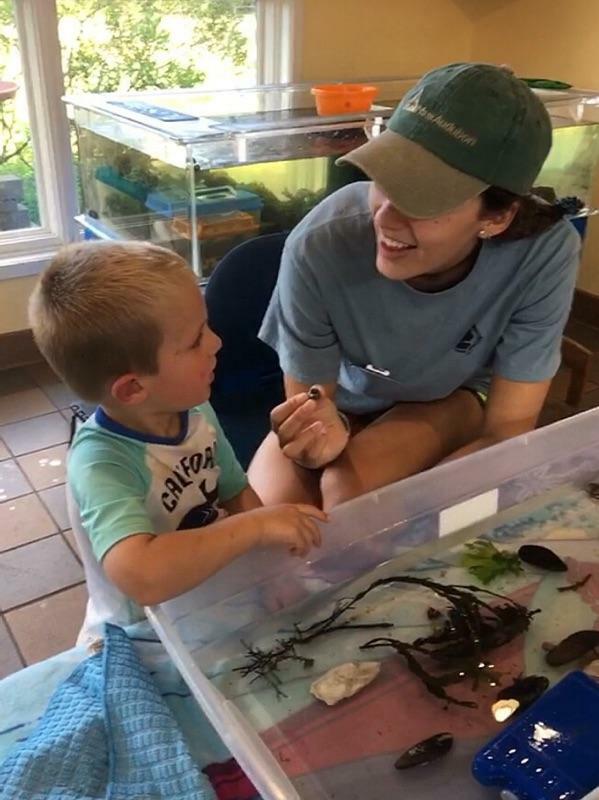 The Meet Beach Creatures Interns (MBCI) will spend the early part of their internship assisting with the implementation of field trips offered onsite at the Joppa Flats Education Center and offsite on the Parker River National Wildlife Refuge and Plum Island. Themes may include coastal ecology, marine biology, environmental awareness and stewardship, bird banding and migration, and invasive species. Field trips may include sandy beaches, rocky shores, tide pools, salt marshes, rivers, and ponds. For the duration of the summer, the focus will transition to the development, planning and implementation of our drop-in visitor program, Meet Beach Creatures which offers our visitors indoor time at our 110-gallon tide pool touch tank and our traveling touch tank program, Coastal Discoveries which allows us to bring our live animals to both Salisbury Beach State Reservation and the Parker River National Wildlife Refuge. Interns work in a team to create daily themes with complementary science table-top activities, take-home art projects, and family friendly presentations. The team will train a group of teen volunteers to assist them with public interpretation, proper handling of live marine life, and coach these teens to act professional and engage with visitors of all ages and interests. Commitment 12-15 weeks. 20 hours per week minimum, and some weekends are required.